Orang Utan Comics Announces Convention Schedule For 2015! Following a hugely successful convention programme in 2014 which included our most financially successful convention ever and a trip to the 72nd World Science Fiction Convention, Orang Utan Comics are pleased to announce our convention schedule for 2015. 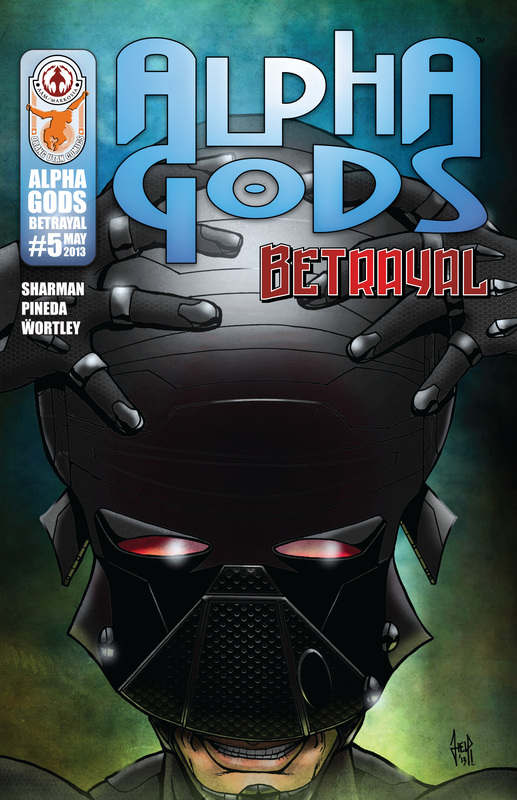 We have a number of new books which will début at conventions across 2015, including Spacescape Vol 1 and the collected edition of Alpha Gods: Betrayal…and with the live action Alpha Gods TV series set to hit small screens across the world next year, that’s bound to be an exciting release! Check out our Conventions page for dates and locations and be sure to come along and meet the Orang Utan Comics crew, buy our books and have a chat. Alpha Gods Is Coming To A Small Screen Near You! 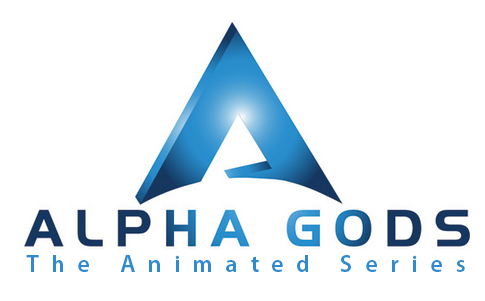 Scorpio Studios have announced that accomplished screenwriter Alex Goldberg will be writing the first season of the upcoming live action Alpha Gods TV series. Production is set to begin in 2015 and the series will air on After Hour HD, a new pulp fiction branded entertainment channel which will be available on X-Box 360, X-Box One, Roku TV and Amazon Fire TV. 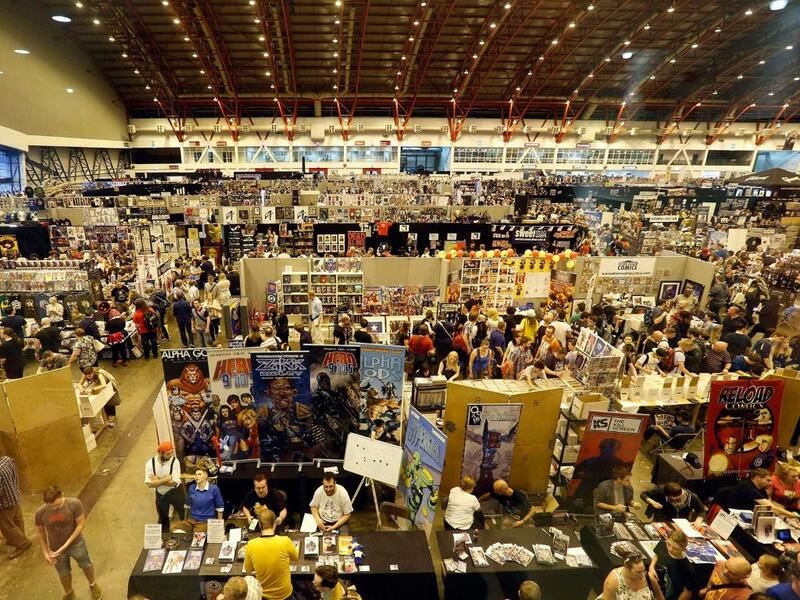 Orang Utan Comics are proud to be official sponsors of London Super Comic Convention! We hope you can all join us at the show on March 15th and 16th 2014 as we release two eagerly anticipated new books – Hero: 9 to 5 – Quietus and The Intergalactic Adventures of Zakk Ridley! To celebrate these spectacular new releases we have a range of exciting special offers for you at the Orang Utan Comics booth (B11). Buy Hero: 9 to 5 – Quietus or The Intergalactic Adventures of Zakk Ridley and get a free Eagle Award nominated anthology! Buy any two graphic novels and get a free comic (Shrapnel: Case Files #1 or The Intergalactic Adventures of Zakk Ridley #1 Convention Exclusive Edition)! The Alpha Gods: Emergence Special Edition hardback will be available at the special LSCC price of just £10 (regular price £12.99). Further special discounts across our range of graphic novels, see the list below for details. Special convention offer Five Book Deal: Alpha Gods: Emergence HC, The Intergalactic Adventures of Zakk Ridley LSCC Exclusive HC, Hero: 9 to 5, Hero: 9 to 5 – Quietus and the Hypergirl Ltd Ed HC for just £60! (Regular price for all five is £68.92). Free set of cosplay art cards with ANY purchase! And, yes, these offers stack! So if you buy the Five Book Deal you will also receive the Eagle Award nominated anthology, a free comic and a set of art cards, a total value of £83.87 for just £60! All offers are while stocks last, visit Orang Utan Comics at booth B11 early to avoid disappointment! We’re also launching the first print collection of our thrice weekly regular web comic, Spacescape. Pre-ordering is available for both Hero: 9 to 5 – Quietus and The Intergalactic Adventures of Zakk Ridley. The creative minds at Orang Utan Comics have teamed up with UK graphic novel publishing power house Markosia to bring you two thrilling new books in time for the London Super Comic Con. 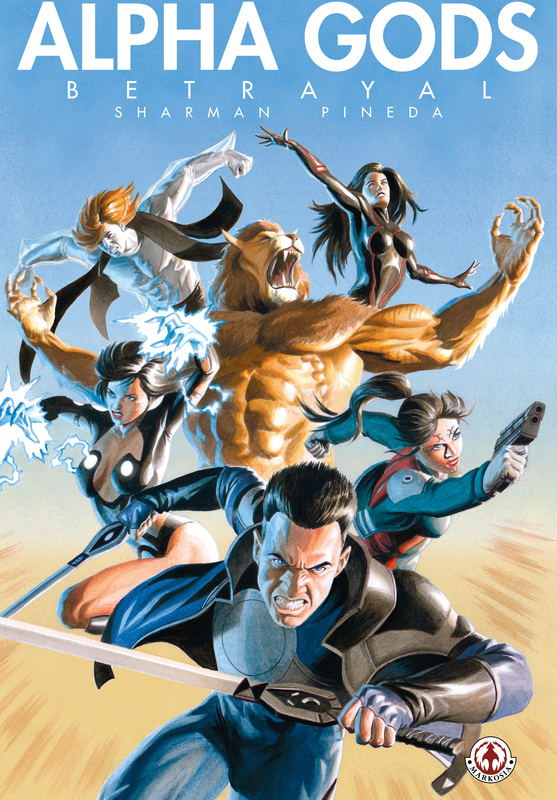 In Hero: 9 to 5 – Quietus the creative team of Ian Sharman, David Gray and Yel Zamor return us to a world where the rich can afford the best in super hero protection, but the poor have to get by with the heroic equivalent of third party, fire and theft. The “Lone Knight” returns from the pages of Hero: 9 to 5, but how will The Loner and the finest men and women that publicly funded super hero protection can supply cope when a mysterious figure leaves a trail of unconnected corpses in his wake? How will a young hero deal with the loss of his mentor? And, more importantly, how will Thunder Woman get her groceries when she runs into Lash Lady at the store? In a world where being a super hero is just another job, what happens when there’s nobody left alive to pay the bill? Quietus – some men just want to watch the world die. Zakk Ridley is just your average smuggler and rogue until he and his robotic partner, Dan, get caught up in an intergalactic conspiracy. Zakk dreams of an easy life roaming the galaxy and making a fast buck or two, but as they say, in space no one can hear you dream… The Intergalactic Adventures of Zakk Ridley is written by Orang Utan Comics’ founders Ian Sharman (Alpha Gods/Hero: 9 to 5) and Pete Rogers (The Interactives) with stunning fully painted art by Ewan McLaughlin. “Those who’ve been following the fortunes of Orang Utan Comics will know that these two books have been a long time coming,” said Hero: 9 to 5 and Zakk Ridley writer, Ian Sharman. “2013 was something of a roller coaster year for me and it feels exceptionally satisfying to be starting 2014 with the launch of two books I’ve been looking forward to getting into people’s hands for years.” Orang Utan Comics have plans for more releases throughout the year, including a hardback collection of Alpha Gods: Betrayal, a series that should also be seeing its animated debut later in the year, and the first print collection of their ongoing web comic series, Spacescape. The Intergalactic Adventures of Zakk Ridley and Hero: 9 to 5 – Quietus are both now available to pre-order from the Orang Utan Comics online store. Both books will be released at London Super Comic Con on 15th-16th March 2014 at the Excel Centre in London, and there are options to pre-order to pick up at the convention and to pre-order for mail order delivery after the show. All mail ordered books will be shipped signed by writer Ian Sharman, who will be on hand to personally sign books at LSCC. Both books are offered at special LSCC discount prices. 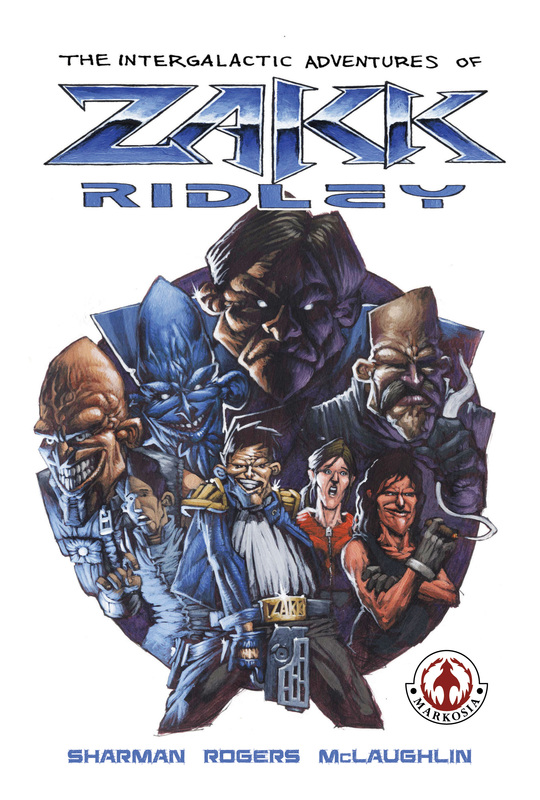 The regular price for The Intergalactic Adventures of Zakk Ridley is £17.99 but you can get this 100 page, full colour hardback for just £15. The regular price for Hero: 9 to 5 – Quietus is £11.99 but you can get this 96 page, full colour softcover for just £10. Also, to celebrate the release of these new books, they’re offering the Alpha Gods: Emergence hardcover for the special price of just £10 (regular price is £12.99).